I couldn’t resist this stunner when it came along. 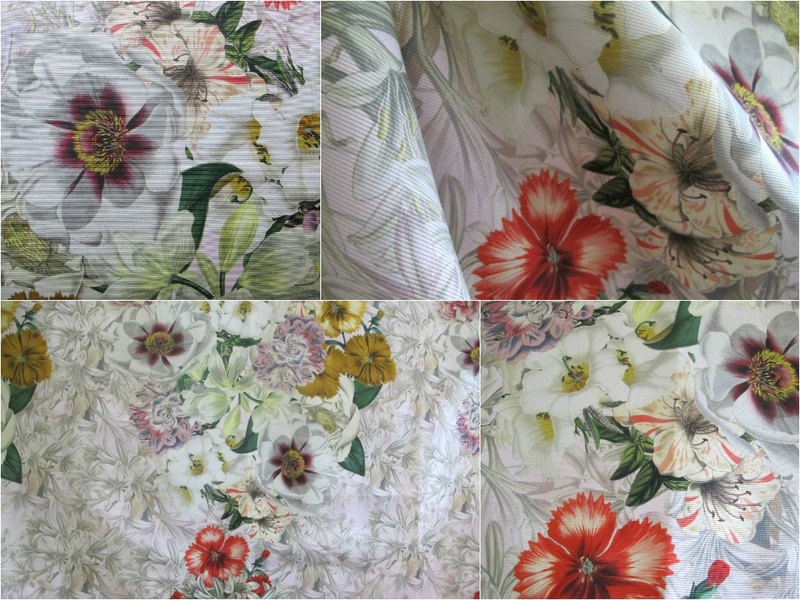 One of Australia’s best upper-market fabric shops brought this fabric in from the Italian mills, and I seem to remember it went like wildfire. It’s seriously stunning fabric. The base fabric is a heavy cotton piqué…it’s about the weight of denim. 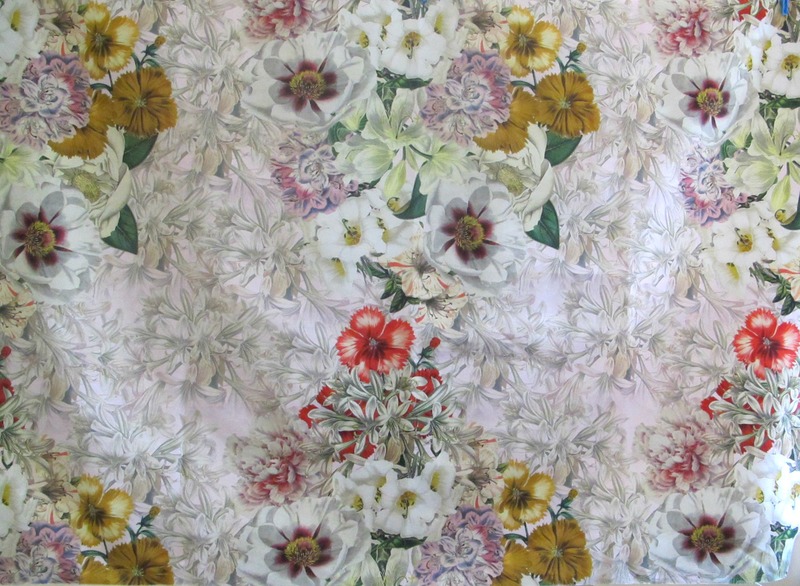 The pattern comprises glorious stylised digital flowers on a background of the subtlest white, pink and green flora. The large blooms are dense along the sides of the fabric and down the middle. I wouldn’t be surprised if this was a Dolce & Gabbana or a Valentino; it’s the style of both of them. But the fabric doesn’t bear a designer name. 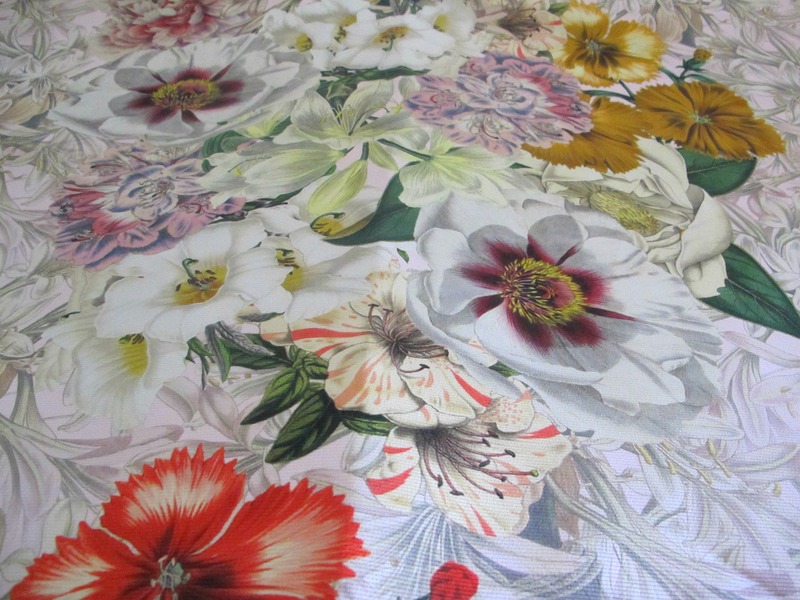 The fabric measures 150cm x 1.10 metres. The fabric is heavier so would lend itself to a shift dress, pants, shorts. Or I think you could do a fabulous jacket, cutting the back, front and sides in the fabric, but keeping plain white sleeves. You could do this with a bomber style as well, with the main body in the floral and the sleeves in a contrast.